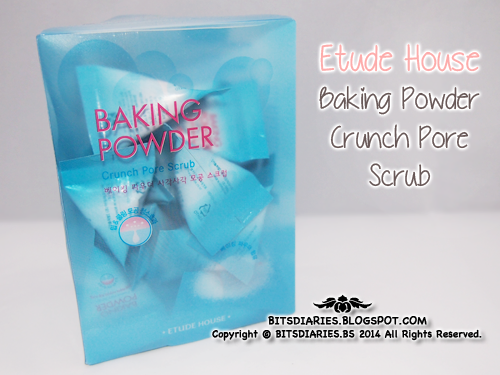 Description: Formulated with Baking Powder to penetrate, exfoliate and cleanse skin deep within pores to remove makeup and residues. Scrub cleanser formulated with Peppermint to soothe skin. Directions: Tear along dotted line to extract scrub cleanser from pouch (one pouch per application). Apply cleanser to wet face, lather and massage then rinse off with warm water. Use 1-2 times a week. 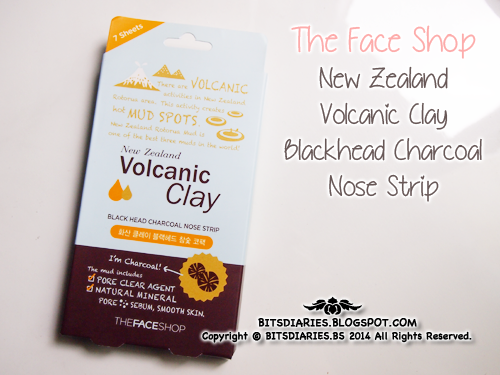 The Face Shop New Zealand Volcanic Clay Blackhead Charcoal Nose Strip removes all dirt, impurities and blackheads from pores with no mercy. The mud includes pore clear agent and natural mineral which helps control the sebum inside the pores, leaving the skin feeling clean and smooth. 1) Wash face, leaving nose thoroughly wet. 2) Remove the clear lining from the smooth side of the strip. 3) Apply across the bridge of the nose, pressing down firmly to ensure maximum contact. 4) Let it dry for 10-15minutes until the strip has hardened. 5) Slowly peel off the strip. 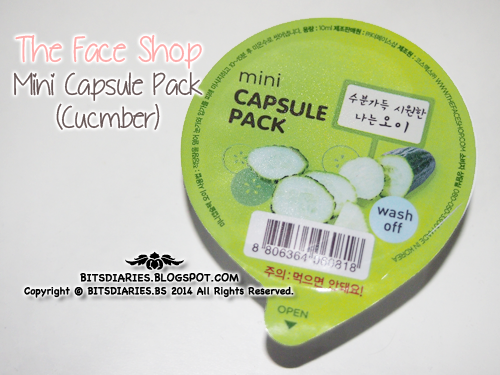 Description: The Face Shop Mini Capsule Wash-Off Pack (Cucumber) has cucumber extract, which is rich in minerals and gives moisture to the skin. Directions: After cleansing, spread adequate amount of the pack on your face for 10-15 minutes and wash-off with lukewarm water. Avoid the eye and mouth areas. TIPs: For a cooling and comfortable experience, store the Mini Capsule Pack in the fridge prior to use.